With 12 games remaining in its season, the Syracuse Crunch isn't technically eliminated from the playoffs. It's 13 points behind the Grand Rapids Griffins, holders of the fourth and final playoff spot in the AHL's North Division. To squeak into the playoffs, the Crunch needs to win out and pray for an utter Griffins collapse. This remote playoff possibility is enough for Crunch forward Zenon Konopka. It has to be. The 6-foot, 215-pound, busted-nose center from Niagara-On-The-Lake, Ontario, has only missed the playoffs once in his hockey life. And when he's involved in the postseason, he has excelled. 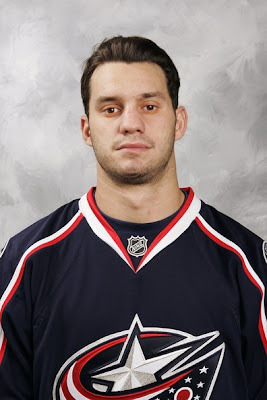 In his AHL career, Konopka has played in 31 playoff games. He has 14 goals and 35 points, and, he says, "I've never lost in the first round." He's done more than go into round two. Konopka has won championships at nearly every level. In the juniors he won the Memorial Cup. As a member of the OHL Ottawa 67s he won the OHL Cup. When he played for the ECHL Idaho Steelheads in 2003-04 he won the Kelly Cup. Last season, his AHL Portland Pirates were one overtime goal from the Calder Cup finals. This postseason, Konopka could be in a strange position: on the outside looking in. "It's really frustrating, to be honest with you," Konopka says. "It's always been somewhat of a journey in the playoffs, and to maybe not make the playoffs is a crushing blow. I don't know what I'm going to do with myself in May." Konopka came to Syracuse in a Jan. 26 trade between the Columbus Blue Jackets and Anaheim Ducks that sent Mark Hartigan and Joe Motzko to Portland for Konopka and Curtis Glencross. When Crunch coach Russ Yates researched Konopka, he was impressed by Konopka's impact in the playoffs. "When you hear about a player, you look up his stats," Yates says, "but for me part of it is you look at the playoff stats. Konopka has got some pretty good stats in the playoffs, which is consistent with what he's done in league play. I hope we'll be able to use his playoff experience in the playoffs." Yates's desire to have Konopka impact a Crunch playoff run is heightened because Konopka might not be around next season. He's already had two stints in the NHL, once with Anaheim and another with Columbus, and Yates thinks he has a good chance of making the Blue Jackets out of training camp. If he does, it could be a permanent move to the NHL. That would be nice for Konopka. Over his five pro seasons, he's played on nine teams, including one in Russia. "Right now, it's alright," Konopka says of his journeyman role. "I'm 26 years old, I'm not married, I don't have any kids. I'm sure if I had a family life it'd be a little hard on them. Right now, I'm still young and I have no tie-downs, so it's fine." "It's pretty exciting going up and down," he adds. "When you're up, you're playing in the NHL and that’s your goal and your dream. And when you're down here, you're a go-to, game-breaker player, and that's kind of nice, too." With the Crunch, Konopka has been clutch. In 13 games with the team, he's kept the Crunch's flickering playoff hopes alive. He's scored 11 points and has been a vocal leader on the ice and in the locker room, according to Yates. "At this level, his upside is he's a great leader, he can score, he can pass, he can finish checks and he can fight, too," Yates says. "He can do a little bit of everything." Konopka has embraced his role as a veteran leader on a Crunch team that is young and eager. The younger players learn from his experience, energizing both the team and, he says, himself. And while he's getting antsy waiting for the NHL's call, he's doing as much as he can with the Crunch now to change the mindset of the team for the future. "I try to bring a winning attitude and try to propel my linemates and my teammates to play better. That's my upside," Konopka says. "Bringing a winning attitude, and not settle for mediocrity. That's something that needs to change in this organization. I think we're on our way, and I'm pretty excited to part of this change." The Crunch might not make the playoffs this season, and Konopka might not be around to enjoy a Crunch run to the Calder Cup when they do make the postseason. But his impact now will reverberate with the team long after he's settled in the NHL.